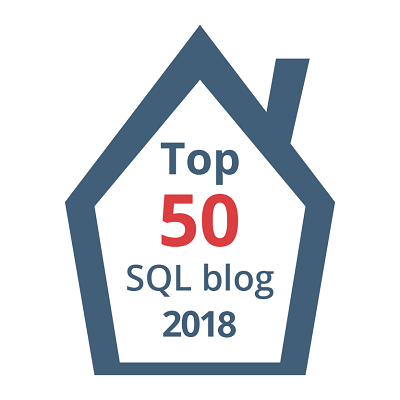 This month I would like to give everyone the opportunity to write about SQL Family. The first time I heard of SQL Family, was on Twitter where someone mentioned this. At first I didn’t know what to think about this. I wasn’t really active in the community, and I thought it was a little weird. They were just people you meet on the internet, and might meet in person at a conference some day. But I couldn’t be more wrong about that!Once you start visiting events, forums, or any other involvement with the community, you’ll see I was totally wrong. I want to hear those stories. How do you feel about SQL Family? Did they help you, or did you help someone in the SQL Family? I would love to hear the stories of support, how it helped you grow and evolve, or how you would explain SQL Family to your friends and family (which I find hard). Just write about whatever topic you want, as long as it’s related to SQL Family or community. I think that this is a wonderful topic. Thank you Jeffrey for selecting this. The #SQLFamily, and the entire SQL community is so fantastic, and this is a wonderful opportunity to shine the light on it. So, what is #SQLFamily? How would you explain it to others? Well, let’s start off with what is family? It’s simply all the people that you are related to. So, #SQLFamily is all the people that you know through SQL Server. However, #SQLFamily isn’t just about who they are; it’s also about what they are. They are the SQL community. Unlike Other RDBMS platforms, the #SQLFamily openly shares what they know. From folks writing online articles at places like sqlservercentral.com and their own blogs or books. Presenters at user groups, SQLSaturdays, or larger conferences like the PASS Summit. Or perhaps what is most unique about our SQL community is the folks that help out on the #SQLhelp twitter “group”. You see, most of these do it for free (or in the case of SQLSaturday, it comes out of their own pocket). Okay, those that write books get paid for that, and there might be a pittance for some articles, but almost everything else is all volunteering, of both time and money. But they don’t try to hog the spotlight – they are just trying to help and encourage others in all things SQL Server. Why would they do this? Some may be craving name recognition, maybe even perhaps hoping for a boost in their career. But I’d venture that most are like me, and they like helping others learn. When you get feedback of how you’ve helped someone, or you see the light go on in someone’s eyes while speaking, it is such an incredible rush. When you have taught someone something, you have changed the world. Talk about paying it forward! My first exposure to #SQLFamily was at my local user group. There, I was encouraged to apply myself – to write and to present. Little did I realize just how much this would make me grow myself, but I suspect that those encouraging me knew. But this isn’t all that that #SQLFamily is about. It’s also about what else you do away from SQL. The #SQLFamily encourages each other in all kinds of areas. Runners get encouragement where the #SQLFamily tweets messages to them while they are running. We sponsor each other for things that are important to each other (like polar plunges for charity). Or like Brent and Grant are doing for Summit this year and wearing funky leggings for a good cause. We get together for fun nights of SQLKaraoke. When you are down, or if something unfortunate happens, someone is there to lift you up and to offer support. And like all families, we grow. Spouses get added to the mix, and they become part of our #SQLFamily also, sometimes an active part. So there you have it… my recap of what SQLFamily is all about. Thanks again Jeffrey for the topic, and I look forward to reading what everyone else has posted. #1 | Pinged by T-SQL Tuesday #57 – SQL Family and community – RECAP | SQL from the Trenches about 5 years ago.